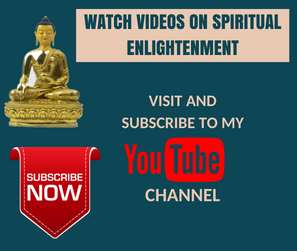 Shanmugam's Blog – Articles on Spirituality. Psychology, Mindfulness, Spiritual Enlightenment & a Collection of my Poems. Hi people! Is there anything that is greater than love? Can there be anything ever that is greater than Love itself? No! I don’t think so! Love is the only thing that connects us… No matter which part of the world you are from… You need to understand that we belong to the same family! I am your relative no matter where you are from… This whole earth is one family and our family! Let us all unite together, be happy and treat everyone as our own family members. I love you guys… We as humans have to stand up for a global unity and peace. We CAN make this world a better place to live..
What we call as God is beyond time and space; but we understand him or imagine him as a person. This is because human mind always detects an agent for everything; this agent deduction in the human mind imagines God in human form or an invisible personality that has human psychology. But this is due to our limitation, not God’s! God is not a person but a personification that points to a direct experience and presence beyond time and space. Also, most of the scriptures got distorted because of later interpolation, poor translation, lost verses, edited verses and testimony from people who are not direct eyewitnesses. Even the testimonies of eyewitnesses can be biased and memory can be biased too! But regardless of all that, the essence of the scriptures have been realized by millions of sages before us and their teachings can guide us to salvation. He sees through the eyes of every being, knows through the awareness of every manifest organism and walks using the legs of every piece of life. As an Octopus he has eight legs; as the son of Man, he has two legs; as the son of God, he is the inner light of every little thing that eats, procreates and decomposes! He is beyond time and space. He exists as the love of every mother, as the care of every father, as the company of every brother, as the support of every sister, as the closeness of every wife and as the convenience of every servant. He is She; She is it, and it is You! … His kingdom is within you and He is closer than the mane behind your neck! All praise ultimately goes to him and no one else.. He is the good shepherd and the sheep, he is the Gopalan and the Gomata; he is the Pashu and he is the Pathi! He is the Kartha, the doer; every biochemical living piece on planet earth is just a puppet; this puppet show is going on for aeons as a holy game of God…. you suffer, you laugh, you enjoy, you grow, you sin and someday you may even become a saint.. but you know, it is all in the game… in the eyes of God, there is no discrimination! He is the sweetness of the milk and the sourness of the toddy; He is the intoxication and he is the clarity.. everything happens to according to His will and His will alone.. He is both the uppercase and the lower case letters and the one who is beyond, before, beneath, below and in the middle of all the letters.. He is the first and he is the last, yet He has no beginning and no end! He is not a person but a personification! When you find it, your expression certainly will be, ‘Oh My God!’…. Over the last three decades, many people who are close to me have attempted to teach me what maturity is…Sometimes it gets too much. Let me tell you the big difference between being an adult and being a kid. When a kid is too young, it doesn’t follow what you say as a parent but follows what you do as a parent. In other words, an immature kid is only interested in imitating others… Only when it grows up, it starts to think on its own. But still, we actually end up being immature to some extent, because even as an adult we still only try to follow the herd and live just like everyone else… True maturity is when you stop following the herd. True maturity is to stop being a buffalo and becoming a lion. Labels Are Not The Truth! By the way, many parts in India is getting swept away by floods. There was a huge flood in Kerala and then there has been a destructive flood called Gaja in Tamil Nadu, which resulted in the loss of wealth and peace of millions of people. In India, the political situation is very bad; many politicians from almost all parties seem to exhibit dishonesty quite transparently in public and the common public really does not seem to understand what is happening. I don’t understand how we can justify building 3-4 statues with thousands and thousand crores of money when people are dying in hunger today as we speak. After Patel statue, the plans for building many statues have been proposed. I also suspect that what is happening in India today will be a historical example of social hypocrisy in the upcoming generations. Human rights and freedom of speech are getting violated a lot. People who speak for common men and activists are getting jailed and being called as ‘anti-nationalists’. Since this blog is read by readers from various parts of the world, I request you, readers, to contribute something in some way to the recovery of people who are affected by Gaja floods. Only common people are getting into the fields and doing the work. Some politicians are helping but not all. And, I can’t stand seeing my people crying without food and basic facilities! Please contact some authority or some friend and try to help those people in some way..
Piyush Manush is a very sincere Activist in Salem, Tamil Nadu. He is currently doing hard work in helping people. 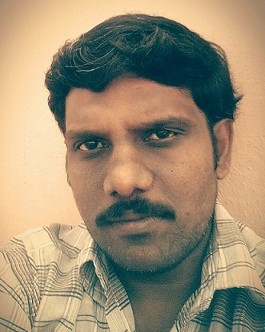 Here is his profile: https://www.facebook.com/piyush.manush . If you check his posts, you will know how hard he is working for the society. But you won’t believe that he got jailed a few times; there are people who troll him and personally attack his family. Please understand, this is the time we can show that we are humans! So, I am here begging the international readers to pay attention to the issues in India and help in whatever way you can. You can contact Piyush Manush and he is always available to provide assistance to people who are willing to help wholeheartedly. Generally, I prefer movies which show reality as it is, like a mirror. A lot of Indian movies are usually anti-reality, but things are getting better. There are a few Tamil lyrics written by Tamil poet Vairamuthu, who is currently the top lyricist in Tamil Movie Industry. “யார் யார் சிவம்? நீ, நான், சிவம்! ஆத்திகம் பேசும் அடியார்க்கெல்லாம் சிவமே அன்பாகும்! நாத்திகம் பேசும் நல்லவருக்கோ அன்பே சிவமாகும்! அன்பின் பாதை சேர்ந்தவனுக்கு முடிவே இல்லையடா! மனதின் நீளம் எதுவோ, அதுவே வாழ்வின் நீளமடா! Who is Shiva? You and I are (essentially) Shiva! Life is a penance; Love is Shiva! For theists who surrender to the Almighty, Shiva is love! For atheists who are good at heart, Love is Shiva! Love is Shiva, Love is Shiva forever! Love is Shiva, Love is Shiva everywhere! If you walk on the path of life, there is no end for you.. The length of your mind (heart) is the length of your life! (If you do a search, you may be able to watch the movie online with English subtitles. 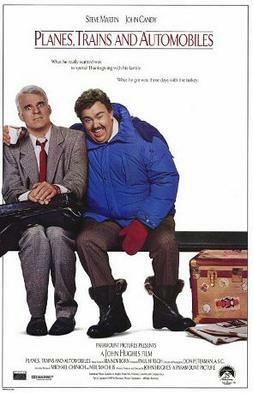 I recommend watching both ”Planes, Trains and Automobiles ‘ and ‘Anbe Shivam‘ if you are interested in both movies and spirituality. இது தான் ஞான சித்தர் பாட்டு! நம் தெருவுக்குள் மத சண்டை ஜாதி சண்டை வம்பெதுக்கு? but you cannot lock your life inside a body! Is there anyone who is blissful except a child and a Jnani (self-realized person)? Only as long as life is in the body, you can say that life belongs to only me. This is the song of the Jnana Siddha! Everyone has equal rights on the earth (like a family)..
Why should there be quarrels in our street based on religious and caste discrimination? Devadasis were wonderful women. Usually, they grew up to be extraordinarily devoted and consider God as the master and themselves as slaves. This is called Dasa Bhavana, the attitude that Hanuman is shown to have towards Rama in Indian epic Ramayana. These girls saw the Almighty as their husband. But later on, some people who were in charge of some temples started enslaving these Devadasis, took advantage of them and used them for prostitution. People who are so attached to the forms of deities (without realizing that all forms represent one truth), who claim that their ‘God’ can be insulted, should first realize that this tragedy that happened to Devadasi community was the actual insult to Goddess Saraswathi. Over the years, the word ‘Devadasi’ earned a bad connotation. The word ‘Devadasi’ can be very easily misunderstood nowadays as a synonym for prostitute. So, thousands of people who didn’t even read Vairamuthu’s essay started to verbally abuse him, threatened to kill him, forced him to apologize to Andal by coming to Andal’s temple in Srivilliputtur and made his life difficult after that for no reason. Vairamuthu didn’t do anything wrong in this regard! People change… But forgiveness, which seems to be the backbone of all the world religions is becoming an out of date concept these days! The truth will win one day! No matter what the truth is, it will win! I just wrote this post to help people see and focus the positive side of poet Vairamuthu. He is a legend..
For the sake of the argument, let us say that Vairamuthi was indeed guilty of things that he is accused of. We need to still realize the fact that every saint was once a sinner and every sinner has the potential to become a saint. A human being is not a static entity, it is a process! Even Valmiki, who wrote Ramayana is said to be a robber before he became a saint! This post is an expression of gratitude to Andal herself. The month of Marghazhi (16 Dec 2018 – 13 Jan 2019) which is considered to be special for Andal is also approaching. The name Andal reminds me of my English teacher at Sri Jayendra Saraswathi Swamigal Golden Jubilee Matriculation higher secondary school, Sankarnagar, Tirunelveli -627357. My English teacher in my seventh standard was a teacher named Andal. Whenever someone says my English is good, please understand the whole credit goes to her. 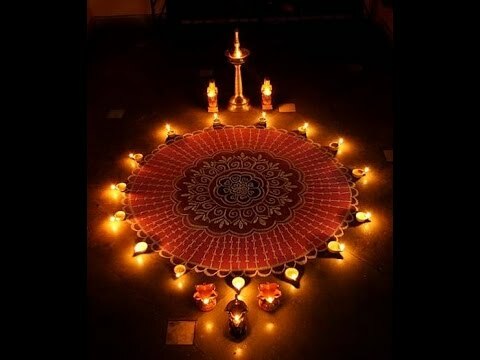 Karthikai Deepam is a Hindu festival celebrated on the fifteenth lunar day of the month of Kartik (November–December). This year it falls on today, November 23rd. The festival is celebrated at night by decorating various parts of the house and balcony with oil lamps. These days some use candles too. It is beautiful to look at the neighbourhood in Tamil Nadu, India after 6:30 PM. Stairs, walls and windows of every house can be seen as an ocean of light. I am working on another book titled ‘The Story of God: A History of World Religions and Spiritual Enlightenment‘. 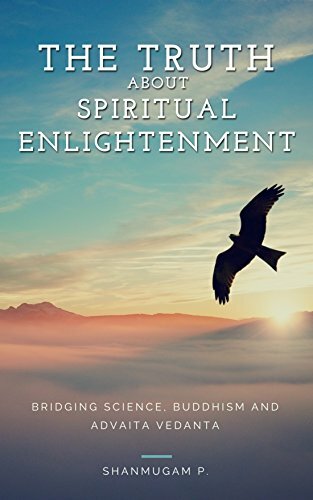 This book is going to be a long term project and it is going to present the history of spirituality as accurately as possible. I am going to adopt a pure historical method. This book is not just going to be a history book, but a guide to spiritual enlightenment from a historical perspective. I am pretty sure that this book will give a totally new and fresh outlook on the past. I think it may take another year (or two, if necessary) to complete it. 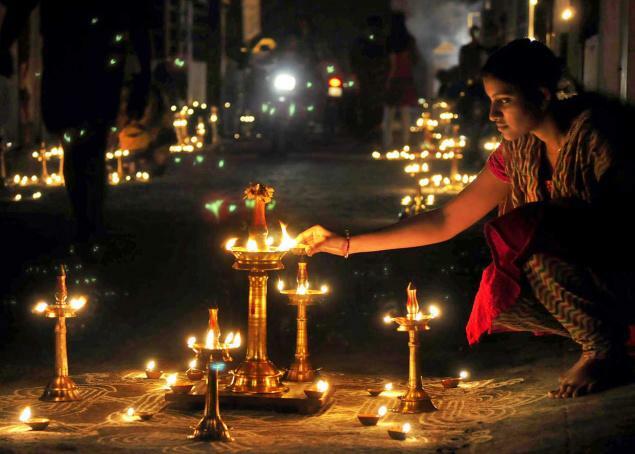 I wish everyone a happy Karthikai deepam! In Hinduism, the one and the same absolute truth is personified as multiple forms and names. The form is used then for meditation as well as to express unconditional love towards the divine, which has manifested itself as all beings and all objects. In Vajrayana Buddhism, such deities are called as yidams. Lord Muruga and Skanda was a form that developed by a merger of multiple deities. Mountain deity Muruga of Tamil Nadu and the warrior deity Skandha were initially two different deities. But when the form that we know as Muruga and Skandha today was created, it was created to personify the angry face of Lord Shiva. Lord Shiva is usually depicted as having five faces. But when the same Shiva is worshipped with the sixth face which is like a hidden but wrathful face of Shiva, he is called as Shanmukha, the one with six faces. Surapadma (Devanagari: शूरपद्मा, IAST: śūrapadmā) was an asura who was the son of the sage Kashyapa and the asura princess Surasa. He was defeated by Murugan but asking for pardon prior to his defeat, was granted the honour of becoming his vahana, the peacock. He is the brother of Singamuka and Tarakasura. His eldest son is Banukopan. The word Surapadma is a compound of two words – the proto-Tamil word Cura and the Sanskrit word Padma. Sooranporu or Soorasamharam part of Skanda Sashti Vratham festival is a ritual folk performance that recreates the killing of Asuras by Lord Murugan. It is performed in Tamil Nadu, Sri Lanka and the district of Palakkad in Kerala at temples dedicated to Murugan. The Soorasamharam festival is also celebrated in Thiruvannur Subramanya Swami temple in Kozhikode District kerala for more than a century in the name Sooranpada. The 2016 date is November 5. The Sooranporu performance is based on the story of Murugan, also known as Skanda, as given in the Skandapurana. In the days preceding the performance the Skandapaurana is narrated in the temple. The performance ends with the killing of Soorapadman (or Padmasura) and his race which is depicted through the symbolic beheading of the four Asuras Anamughan, Panumughan, Simhamughan and Soorapadman. The Asuras are beheaded by Murugan using his weapon the vel a kind of spear or javelin. For the performance the velis specially consecrated and during the staging of the show it is ceremonially placed on the neck of the effigy after which the head is removed, depicting the beheading of the Asura. Sooranporu is staged at the end of a week-long Kanda Sashti festival. Sooranporu is preceded by several ceremonies on the last day of the Kanda Sashti festival. Special pujas are conducted and the deity of Murugan is ritually anointed (abhishekam) and devotees seek the deity’s darshan. In some parts of Tamil Nadu women devotees observe a six-day fast which they break at the end of the Sooranporu. In Palani, a procession of Lord Murugan (known here as Dandayuthapaniswamy) is taken down from the hill temple and led through the main thoroughfares of the town before the Sooranporu. In Tamil Nadu, Sooranporu is witnessed every year by large crowds of devotees and the state government and Indian Railways ply special buses and trains to facilitate their travel. In Kerala’s Palakkad district, Sooranporu is held in all the major Tamil settlements in the district. Today, November 13, is the sixth day of this festival which is according to Hindu calender. The Sooranporu or Soorasamharam will be celebrated this evening in all the major Shiva and Muruga temples in Tamil Nadu, including the one very close to my neighborhood in Thachanallur, Tamil Nadu, India. H. H. Swami Santhananda Saraswati Avadhoota Swamigal (28 March 1921 – 27 May 2002) was a Mahatma who worshipped Skandha as Skandha Guru. H. H. Swami Santhananda Saraswati Avadhoota Swamigal (28 March 1921 – 27 May 2002) born as Subrahmanyam was a Hindu spiritual leader and teacher who established the worship of Devi Bhuvaneswari in Tamil Nadu. He was the founder of the Bhuvaneswari Peetam in Pudukkottai, Tamil Nadu, India. The very embodiment of Prema, Sri Sri Swami Santhananda was the fountainhead of Hindu Dharma and Vedic principles. In his lifetime he had conducted several yagnas as elucidated in the Sasthras and challenged orthodoxy by bringing to light, guarded Moola Mantras that ensure common good, wealth and peace. He was a disciple of H.H.Sri Swayamprakasha Bhremendra Saraswathi of Sendamangalam and came in the lineage of H.H.Sadasiva Bhremendra Saraswathi (Sri Sri Judge Swamigal) of Pudukkottai. He founded Skandhashramam in Salem and Om Sri Skandhashramam in Chennai. One of the most illustrious seers of our time, Sathguru Srimad Shanthananda Swamigal was the very embodiment of the Divine. Hailing from a glorious lineage of Avadhootha saints, Sathguru Sri Shanthananda Swamigal has been the torchbearer of Hinduism and its sanctity. Alleviating the sufferings of humanity has been his primary concern. He has advocated the greatness of Japa and Homa as a means to achieve peace and prosperity. Sathguru Sri Shanthananda Swamigal has been the fountainhead of infinite love & compassion and has bestowed solace to many. He is the guiding spirit and an epitome of peace to his devotees who regard him as the incarnation of Goddess Bhuvaneshwari. Besides Chennai Om Sri Skandasramam, Sathguru Srimad Shanthananda Swamigal has built the Judge Swamigal Adhishtanam at Pudukkottai, Om Sri Skandasramam at Salem and Dattagiri at Sendamangalam. This beautiful statue of Sri Shantanada Swamigal in Marble is placed on the left hand side of Goddess Bhuvaneswari and is 4 ½ feet in height. This gopuram represents the Tamilnadu type of architecture. Skandasramam, located in serene surroundings amidst hillocks, two kilometres away from Udayapatti of Salem Town, is a temple complex with shrines to Skanda and to other deities. This lies in Salem-Attur route. Skandasramam was founded by Shantananda Swami in the latter half of the 20th century. Shantananda Swami – a disciple of Swayamprakasa – was also associated with the Avadhoota Dattatreya Sampradaya of Gujarat – and with several philanthropic activities. Skandasramam is a unique temple. The presiding deities here are Skanda and Ashtadasabhuja Mahalakshmi. It was planned by Om Shri Santhananda Swamigal in May 1968, and he executed it in the form of a temple by name Skandasramam and its Maha Kumbabisekam took place on 08.02.1971. In the Maha Mandapam, one can see Shri Ashta Dasapuja Mahalakshmi Durga Parameswari, who is also known as Skandamatha and opposite to Durga, there stands the grand, attractive, and smilling statue by name Gnanaskandan (Bala Dandayudha Pani). Both are in standing posture. Besides these nine points on the top of the Linga form, it is predicted as the adobe of Ganga, in between the 3rd and 5th point there is Gomuki. On the right and left side of Ganga there are moon and sun respectively. In the eastern side of the temple, there runs Kannimar Odai (stream). As it flows towards north, it is also known as Utharavahini. By the side of the stream there is the goddess Kannimar Amman. On the advice of Swami Swayamprakasa, Santhananda undertook the renovation of the Samadhi of Judge Swamigal at Pudukkottai. This Samadhi was established by Swayamprakasa Swamigal in 1936. Santhananda renovated the Samadhi and a Kumbabhishekam was conducted in 1956. This is now known as Bhuvaneswari Avadootha Vidya Peetam. The main deity here is Matha BHUVANESWARI. Of verses through which a mystic light shines? And their meaning is the sea for that trip! Where are you racing to? My loving friend! My friend, there you can taste the true freedom! Run in that direction, you’ll find the ray! Sing like the sparrows, dance, rejoice and drink! It’s your road and yours alone; walk with joy! Life is a drama and world is a toy! Bhoothanatha Geetha (or Bhutanatha Gita) is a very rare Sanskrit text. We are greatly indebted to Mr. V. Aravind Subramanyam for working all his life to find the old manuscripts of this book, translate it and make it available with English and Tamil translations. . The book can only be directly ordered from him by sending a DD or cheque to his residence in Coimbatore Tamil Nadu. It is not available elsewhere. I got a copy of it yesterday and I want to share what I found in it. Mr. Aravind Subramanyam, due to his earnest love for Dharama Sastha, always adds Maha Sasthru Priya Dasan before his name. He has also written a complete purana called Sri Maha Sastha Vijayam. Boothanatha Geetha is much shorter than Bhagavad Gita but conveys the key points of Advaita Vedanta. It has 132 verses in 8 short chapters. Bhagavad Gita is a conversation between Krishna and Arjuna. Similarly, Bhoothanatha Gita is a conversation between Prince Manikanta who was considered as the avatar of Dharma sastha and Rajasekharan, the king of Pandalam. Boothanatha Geetha has certain uniqueness that other texts don’t have. To explain that, I will comment on some of the important verses from the book. Meaning: Oh King, destroying one’s karmas is important for the destruction of the suffering that arises from the cycle of birth and death. You can hear the way for it from me. The text has 8 chapters. The first chapter Brahma Lakshana Yoga starts with this sloka and proceeds to explain the nature of Brahman, the absolute reality. Oh king! Brahman has no beginning, no middle and no end. It shines on its own and is the greatest of the greatest. It is imperishable, attributeless and beyond space & time. It has been described in the scriptures that it is conscious and always in bliss. Nothing other than that exists! It is you and it is also me. (It is interesting to note that the line ‘citganam nityamAnandam tatbhinnam nAsti vastu bho’ is a description of sat-cit-ananda or truth-consciousness – bliss. citganam = conciousness; nityamAnandam = bliss; tatbhinnam nAsti vastu bho = truth). These lines also combine two mahavakyas, ‘tat tvam asi’ (You are that) and ‘aham brahmasmi’ (I am Brahmam’ together by saying ‘asi tat tvam aham’ (that exists as you and I). A good sloka for memorization for people who are learning Sanskrit. This sloka is similar to a lot of verses in Sankhya Yoga, the second chapter of Bhagavad Gita. If Brahman is all that exists, then how do we explain the multiplicity in the existence? In the next few slokas, Manikanta attempts to clarify this doubt with the famous example of gold and gold ornaments found in Chandogya Upanishad. Manikanta must have been well versed and quite familiar with Chandogya Upanishad and even some Buddhist texts as we will see. Manikanta explains that just like gold ornaments with different shapes are essentially gold and nothing else, all the myriads of names and forms that we see is essentially Brahman and nothing else. The multiplicity is seen due to Maya (illusion or unreal). This would remind us of Arjuna’s confusion when he complains to Krishna in Gita 3.1 that Krishna seemed to be contradicting himself. Manikanta then explains that maya is nothing but the idea of a separate self. When you see something as me or mine, it is maya. This illusion has no beginning but it has an end. It is due to this illusion, one perceives or feels himself different from Brahman. Manikanta then encourages the king to investigate and see if there is really any truth in saying things like ‘this is my hand’, ‘this is my leg’ etc. He asserts that if one investigates carefully, one can know that there is no such thing as ‘mine’. Manikanta also quotes the famous analogy of crystal to explain the relationship between Brahman and Maya. Maya doesn’t stick to Brahman even though it appears to be, just like a red flower placed on a crystal makes the crystal to appear red, even though the crystal itself doesn’t have the quality of the redness. At the same time, the color exists inseparable from the crystal just like maya is in a sense inseparable from Brahman. The second chapter is Brahma Jnana Yoga. Manikanta begins by explaining how the three gunas or trimurties sattva (Brahma), rajas (Vishnu) and tamas (Shiva) originated from Brahman. In this chapter, Manikanta talks like Buddha. Buddha used to discourage metaphysical questions which are about the origin of the world, the origin of maya or the origin of suffering. “It’s just as if a man were wounded with an arrow thickly smeared with poison. His friends & companions, kinsmen & relatives would provide him with a surgeon, and the man would say, ‘I won’t have this arrow removed until I know whether the man who wounded me was a noble warrior, a brahman, a merchant, or a worker.’ He would say, ‘I won’t have this arrow removed until I know the given name & clan name of the man who wounded me… until I know whether he was tall, medium, or short… until I know whether he was dark, ruddy-brown, or golden-colored… until I know his home village, town, or city… until I know whether the bow with which I was wounded was a long bow or a crossbow… until I know whether the bowstring with which I was wounded was fiber, bamboo threads, sinew, hemp, or bark… until I know whether the shaft with which I was wounded was wild or cultivated… until I know whether the feathers of the shaft with which I was wounded were those of a vulture, a stork, a hawk, a peacock, or another bird… until I know whether the shaft with which I was wounded was bound with the sinew of an ox, a water buffalo, a langur, or a monkey.’ He would say, ‘I won’t have this arrow removed until I know whether the shaft with which I was wounded was that of a common arrow, a curved arrow, a barbed, a calf-toothed, or an oleander arrow.’ The man would die and those things would still remain unknown to him. “In the same way, if anyone were to say, ‘I won’t live the holy life under the Blessed One as long as he does not declare to me that ‘The cosmos is eternal,’… or that ‘After death a Tathagata neither exists nor does not exist,’ the man would die and those things would still remain undeclared by the Tathagata. “Cula-Malunkyovada Sutta: The Shorter Instructions to Malunkya” (MN 63), translated from the Pali by Thanissaro Bhikkhu. Access to Insight (BCBS Edition), 30 November 2013, http://www.accesstoinsight.org/tipitaka/mn/mn.063.than.html . The greatest of kings! If some one falls down inside a deep well, is there any use in thinking about the reason the well was there in that place? How can you escape from the well if you don’t think about the way to escape from it? Manikanta in many places, discourages useless questions and mere reading of scriptures without striving to know the truth in one’s experience. Then Manikanda stresses the importance of a satguru. He says ‘samyag vettum param brahma kAryam satguru sevanam (2.7)’, which means if one wants to know the truth of Brahman in once’s experience, serving a satguru is mandatory. We will see who this satguru is, in a moment. Manikanta also goes ahead and narrates the story. (The version Manikanta narrates only has two blind men, but in other versions they are more). Two blind men once wanted to know about an elephant. So, each of them went near an elephant to touch and feel it so that they can find out the shape of the elephant. One guy touched the ears of the elephant while the other person touched the trunk. After that, both of them were perfectly convinced that they knew everything about the elephant and its shape. The guy who touched the ears argued that the elephant looks like a fan where as the guy who touched the trunk insisted that an elephant looks like a long pipe. Seeing these people fighting, a person with the perfect eye sight came and explained to them what an elephant really looks like. Manikanta ends this chapter by conveying the difference between meditating on and worshipping the formless and attributeless truth (nirguna brahman) and a deity with a form (saguna brahman). These verses are similar to the verses in the 12th chapter (Bhakti Yoga) of Bhagavad Gita where the conversation is about the same topic. Manikanta says that one who meditates on the formless, attributeless Brahman will attain liberation in this life and become Jivan Muktas. People who worship the divine in a form will attain liberation after their death. Adhi Shankara in his commentary on Bhagavad Gita also conveys the same while interpreting the verses in chapter 12 of Gita. This chapter talks about Panchikarana, a Vedantic theory that talks about how matter came into existence from five elements (panchabhutas). There is something interesting to note in the beginning of this chapter. Manikanta begins by saying that there are 96 tattvas which exist in nature. A tattva is nothing but a smallest indivisible unit or element of what appears in our consciousness. For example, memory is a tattva, ego is a tattva, perception of sight is a tattva etc. When you observe the contents of your consciousness, it is possible to come up with many such tattvas. But the number of tattvas vary by tradition. For example, Bhagavad Gita talks about 8 tattvas. Samkhya school identifies 24 tattvas and Shaiva Siddhanta tradition identifies 36 tattvas. There is one tradition that talks about 96 tattvas. It is nothing but the tradition of Siddhas who specialized in both spiritual matters and herbal medicine. Since Manikanta too talks about 96 tattvas here, it is possible that he was also a Siddha who had mastered siddhis and the art of medicine. The purpose of the description of these tattvas is to not to commit them to memory as a bunch of information. Enumerating these tattvas are only useful to see that they are not ‘you’ or ‘yours’. In other words, these are tools for self-inquiry rather than a collection of facts. As a mere collection of information, it is useless. So, if one is longing to get liberated, he needs to take care to see that he doesn’t identify with a whole bunch of information. Manikanta then begins to explain how the mind gets unpurified. When we make any decision we use our intellect or the sense of discrimination. But this intellect when influenced by rajas (desire and activity leading to fulfilling the desires) and tamas (lethargy, hatred and anger born out of that hatred) grabs your attention away to multiple things. Intellect eventually gets multibranched because of myriads of desires and fears. That is why there is a lot of self-conflict and that is the reason why human beings suffer a lot from cognitive dissonance. Meaning: A person who has achieved one pointedness (by purifying his mind) has an intellect which has just a single branch. But the intellect of the people who have not achieved such one-pointed devotedness is many branched. While explaining, Manikanta suddenly reminds him that it is useless to just read these things and say things like ‘there are 96 tattvas’, ‘the scriptures say so’ etc. It is a waste of time to talk about things he knows only by reading and not by his experience. Then Manikanta uses an analogy to explain what is mandatory for the purification of the mind. Let us say the mind is like a milk; and the impurities are like water. If you want to get rid of all the water and get pure milk, the only choice you have is to heat it. No amount of adding anything or trying to remove anything will get rid of the water. Simply reading the scriptures is like trying to heat the milk without fire. If there is no fire, then no matter how long you wait, the water will be still there. Manikanta says that a guru’s words and guidance is like the fuel which can create the fire. Only when the scriptures burn in the fuel of the guru’s words, the impurities of mind will evaporate and the mind will get purified. A seeker should listen to guru’s words and do meditation according to what he taught. Then Rajasekharan asks, ‘How do I find a satguru? How would I know that he is satguru? Since you know a lot of scriptures, please explain’. It is important to note that Rajasekharan still insists to hear what is written in the scripture. He doesn’t seem to be wanting to know what Manikanta knows by his experience. This is the reason why Manikanta throughout this Gita insists the futility of mere intellectual debates without attempting to directly know the truth by experience. He doesn’t have any attachments. He is peaceful and calm. He knows the truth by experience. There is another thing to note here. People believe that Kabir who lived in 15th century was the one who coined the word ‘satguru’ and who was also called as a satguru for the first time. Because there were no references to the word ‘satguru’ in any other older scriptures. But Manikanta lived in 10th or 11th century AD. No body has dated Bhoothanatha Gita yet, but assuming that it was written down right after his life, it is probable that Manikanda was the one who was called as satguru for the first time and who probably used that word for the first time. He has realized that life is prone to suffering. He is longing to get freedom and prays sincerely for emancipation. A warning about fake gurus! Then comes a beautiful sloka which says something that no other scripture has said to my knowledge. It warns about gurus who are after your money! Meaning: There are plenty of so called gurus who take away your money. But the gurus who can take away your misery are very rare! Finally, Manikanta offers you a solution. Since it is very rare to find such gurus, he says that he himself is both Guru and God for a person who shows selfless devotion to him. What this sloka actually conveys is, dharmasastha is satguru! If you don’t have a guru and can’t find one, just be devoted to sastha! Devotion purifies the mind and the divine as the satguru is always there as the inner light in every being. This chapter discusses three types of karmas and how karmic material travels from one body to another body. Certain themes from Chandogya Upanishad appear here too. Here Manikanta insists that one should safeguard his body and not neglect it just because it is going to die own day. Because this body is the instrument which helps you to enjoy the four purusharthas of life: dharma, artha, kama and moksha. At the same time, he also says that the purpose of having this human body is to realize the truth. He then lists the qualifications for a seeker. In Vedanta there is a concept called sadhana chatushtaya which lists qualifications of a seeker. This sloka just lists four simple qualities that a seeker should have as qualifications : 1) Vairagya – non-attachment 2) Guru Bhakthi – devotion to guru, in this case Dharmasastha. 3) Shama – tranquility of the mind 4) dhama – control of senses. The chapter ends as Manikanta stresses the importance of devotion in the last few slokas. Devotion purifies the mind as well as helps the person to develop the above mentioned qualifications. This chapter once again stresses the importance of devotion. It talks in detail about the three gunas and three type of devotees. In this chapter Rajesekharan asks important questions. Manikanda replies that a person who exhibits feats by climbing a big staff are able to do so effortlessly because their mind is one pointed. When you attain one pointedness through self-realization, you will have more efficiency to do your actions. He lists people such as Janaka, Sukha, Gargi and Katwanga as examples of people who continued to live their married life after their self-realization. Then he talks about the impermanence of the worldly things and how liberation is the only thing which is permanent. He says that this world is a stage for dramas and Brahman is the one who runs the show; night is the screen and sun is the light; we are are actors; karmas are the musical instruments and the desires are the music. Once a person starts to look at life this way, he will be able to develop vairagya (non-attachment) very quickly. Manikanda talks about four varnas. The slokas are like rewritten verses of Purusha sukta. It talks about how people from different varnas were born from different parts of purusha. He then says that being a householder is better than being a wandering monk, forest ascetic or a bachelor. These verses seem to echo what some older grihya sutras say. They also favoured married life over asceticism. Manikanda then warns the king to not to read various scriptures and get confused. He says that whatever that has been conveyed so far is the essence of the scriptures and that he didn’t have to read anything else. Finally he declares ‘sarvajnoham sarvagoham sarvasAkshyahameva bho’ which means I am the omniscient, omnipresent and a witness of everything. He asks the king to meditate on him all the time and promises him liberation. Thank you for reading. I could only write this because of grace! I sat this morning and resolved to write a detailed post on Bhutanatha gita and let everyone know about this text. I wanted that to happen on this Diwali day itself. I hope this answer gave a complete introduction to Bhoothanatha gita. I wish you a happy and peaceful Diwali!